As all mums know, that time between 4pm and 7pm is just horrid. Some call it the witching hours, others domestic peak hour or, my favourite, wine time. What if there was a way to keep the cherubs busy while you cook dinner? Anthropologie has the answer. 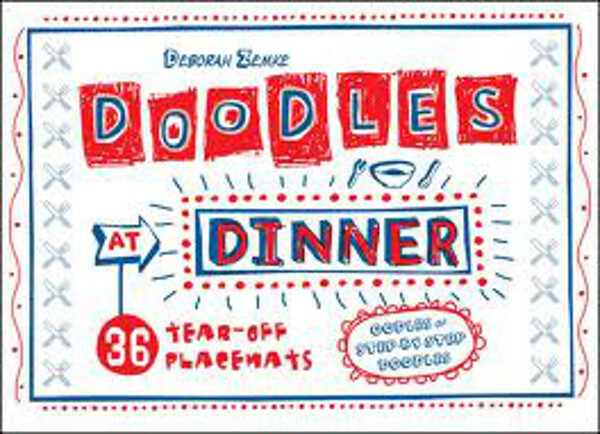 Doodle At Dinner is a set of thirty-six tear-off placemats with stacks of step-by-step doodles. 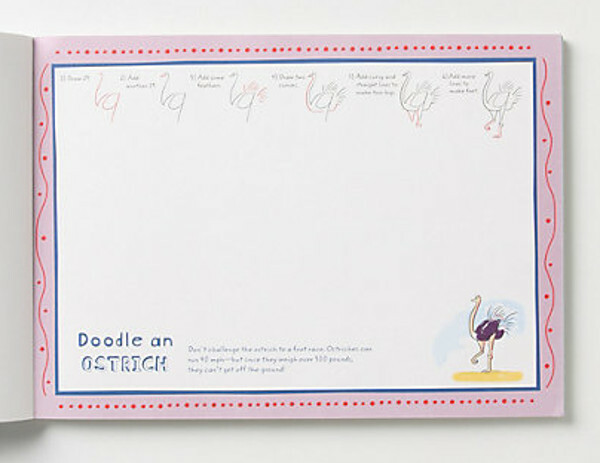 Imagine the kids drawing an ostrich as they follow the drawing instructions, while you dice the onions. Just think of how much faster dinner will be on the table! I can hear you sighing in relief right now. 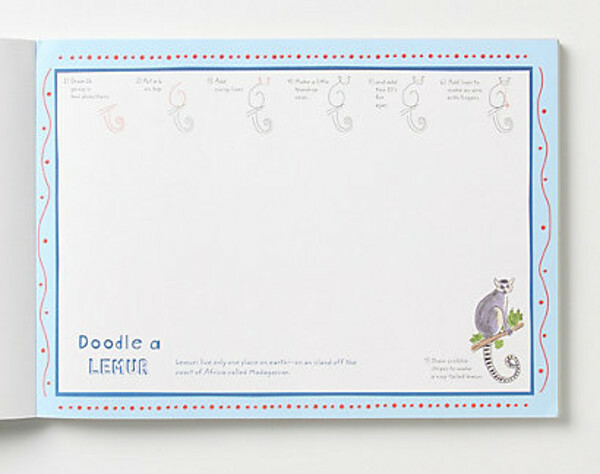 These fun and easy doodles feature lots of quirky different animals to draw, including a lemur, a tarantula and a bighorn sheep. Each page also has a factual sentence or two about the animal. For instance, on the lemur: “Lemurs live only one place on earth – on an island off the coast of Africa called Madagascar”. Doodle at Dinner is also the perfect solution for amusing the kids at restaurants and dinner parties. Want to stay for another drink? Just ask the kids to draw a toucan while you do. Illustrator and writer Deborah Zemke enjoys teaching children how to make easy and personality-filled doodles with her instructions. And it really shows. This sanity-saving set of placemats costs $12.45. The good news is Anthropologie now ships to Australia for a flat rate of US$25. We recommend going in with some friends to share the shipping charges.